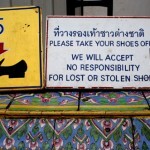 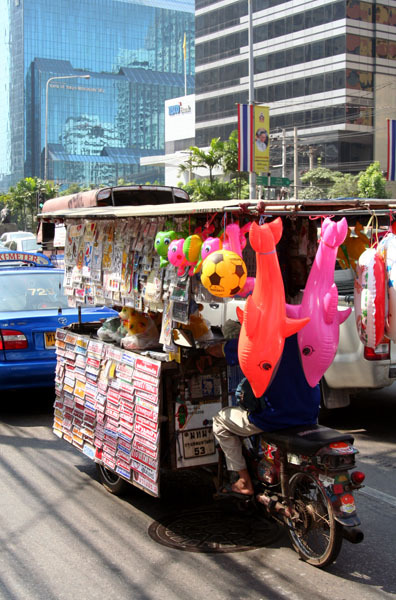 In Bangkok, you don’t always need to drive to the store to do your shopping – sometimes, the store drives to you. 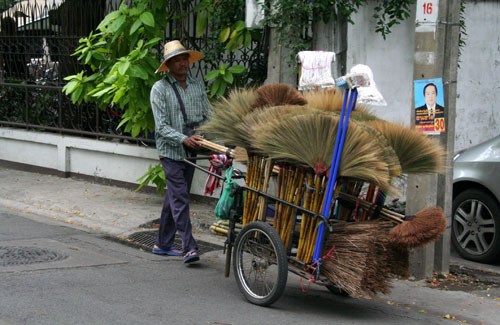 With wares loaded on push carts or on bicycle-peddled stands, these mobile entrepreneurs supply Bangkok’s citizens with both useful goods (like the brooms in the above photo), and some more unusual luxuries (like the sticker and inflatable-toy stand in the photo below). 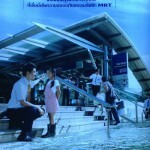 They’re not just a good way for fledgling shop-keepers to avoid Bangkok’s real-estate rates, they’re also an extremely convenient form of shopping.